Well, I've already completely prepared myself for everyone to dispute me in my opinion of this book... *cringe* I'm ready! Don't get me wrong... It WAS a good book! But the way everyone completely GUSHED over this one, I was under the assumption it was going to be EARTH SHATTERING... But, all I got was the: "Hmmm, good book." feeling. I'm not sure what all the fuss is about I guess. 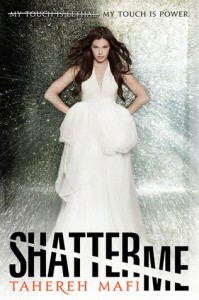 With THAT out of the way- Shatter Me was suspenseful like you CAN'T BELIEVE! Half the time I really thought I was going to have a heart attack or burst into tears... Or both. First- prepare yourselves for Adam. Oh. Dear. God. Seeeeriously, it's not even funny how HOT this leading man was! Thinking back on him, I'm almost tingly! *shivers* "I know him. I've tried so hard to stop thinking about him. I've tried so hard to get those blue blue blue eyes out of my head but I know him it's been three years since I last saw him. I could never forget him. But he's already forgotten me. "This is a very cryptic book, we're give just enough of the story throughout the entire thing to think we know what's going on, even though that hint of the HUGE underlying mystery is always there just simmering below the surface. Like it's getting ready to blow at any second!I think I've made myself clear that it would be extremely difficult to even think about touching Adam in the HOT spectrum. Let me say it again, he is made of YUMMY. Anyfictionalboytoy... I LOVED Kenji! What can I say? 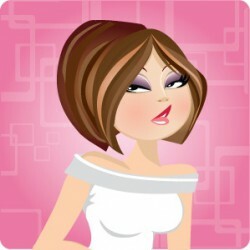 I'm a sucker for flirty sarcasm and wholly inappropriate men! "I don't know why, but I kind of like it when you threaten me." ~KenjiJust when we think all is lost and we've taken this journey through this cryptic, heart-breaking book just to watch everything slip through Juliette's finger's... it doesn't. And Shatter Me takes an extremely unexpected turn that I DID like, but I felt didn't fit with how the entire book had been set up so far. Which in some cases, this can make or break the story! That's not to say the book wasn't a great read, because it totally was! I just went into this book expecting to be completely knocked off my feet and ten kinds of blown away... and for me, that just didn't happen.